Scuba Diver - Devocean divers "in the deep we connect"
If your short on time and you don’t have four days to spare but your eager to get certified as a diver. Then the PADI Scuba Diver certification is the course for you. This certification is a good warm-up for the Open Water Diver course. This course requires less time than the PADI Open Water Diver course – just two days rather than four. 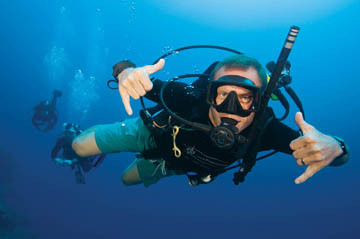 The course covers all the basics of diving including the first three chapters of the Open Water manual. The first three of five pool sessions. And the first two of four Open Water training dives at easy dive sites. You learn all the basics of scuba diving through knowledge development, a set of scuba skills in confined water that you’ll use again during open water dives, and an appreciation for the underwater world that will keep you excited and eager to continue diving. You’ll learn how to be safe under water through buoyancy skills that will let you feel balanced and allow you to comfortable ascents and descents. You’ll learn to naturally breath underwater, improve swimming skills, buddy diving techniques and how to appreciate and respect the aquatic environment and its inhabitants. Th certification qualifies you to dive under the supervision of a PADI Dive master or Instructor within the limits you’ve been tough. A maximum depth of 12 meters / 40 feet. 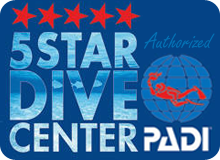 If you already are PADI Scuba Diver certified, and then decide to continue with your PADI Open Water diver course then your Scuba diver certificate can be (at your Instructor’s discretion) credited to the open water program. 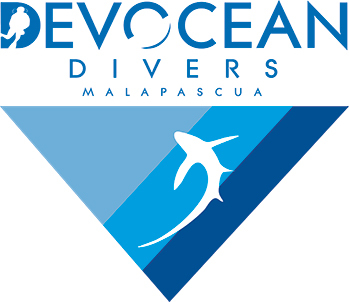 There’s no where better to complete the three knowledge sessions & pool dives and two open water dives than at Devocean Divers Malapascua.